"He's got a beautiful, bright future ahead of him, so this will only make him stronger," Hamilton said. 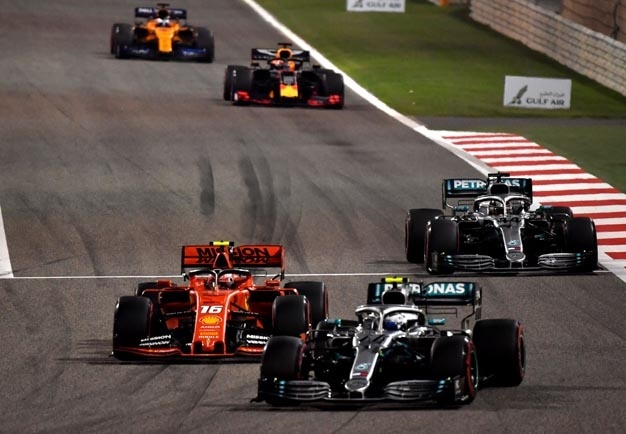 Indeed, Ferrari's Leclerc was cruising to his first win on Sunday when an engine problem dropped him to third. "Even if we don't quite understand it, what happened is an isolated case," said team boss Mattia Binotto. "It's not that we are pushing the engine too hard or something." Ferrari's turnaround between Australia and Bahrain, though, is startling. "If they have this straight line speed in the next race then we'll be watching them disappear," said Hamilton. Mercedes boss Toto Wolff denied Binotto's claim that the difference could be accounted for in terms of downforce. "You're talking about a tenth with less drag. This is sheer engine power," he said. "Whether it's chassis or engine, at our level we are talking about small steps. So it will be difficult to close such a big gap," he said. Valtteri Bottas commented: "The straights are even longer in China. So Ferrari's advantage could be even bigger."